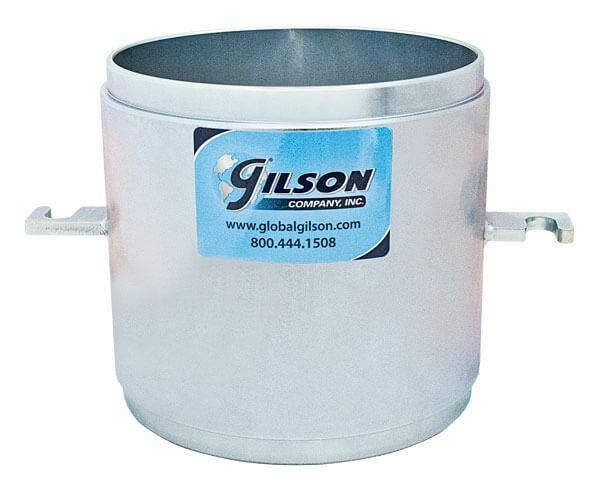 LBR Mold Set Components - Gilson Co.
Limerock Bearing Ratio (LBR) mold set parts can be purchased as individually. Components are zinc-plated for rust-resistance and made of durable steel. Components meet AASHTO and FM testing requirements. The complete assembly can be purchased as BRA-59 LBR Mold Assembly. BRA-59M LBR Compaction Mold Only has slotted tabs to secure the mold to the base with threaded rods. 6x6in (152x152mm) IDxH. BRA-59C LBR Compaction Mold Collar Only fits on top of the Mold and assist in filling and compaction. The Collar can be used with other LBR molds. 2 1/2in (64mm) H.
BRA-59B LBR Compaction Mold Base Only is perforated and secures the mold during compaction. The mold is fitted with threaded upright rods and wing nuts.